McDonald’s® Restaurants of Hawaii has 82 restaurants and more than 5,200 employees across Hawaii, Guam and Saipan. In Hawaii alone, the company has 4,600 employees and 74 restaurants, 53 of which are locally owned and operated by 13 franchisees. McDonald’s® Restaurants of Hawaii has 82 restaurants and more than 5,200 employees across Hawaii, Guam and Saipan. In Hawaii alone, the company has 4,600 employees and 74 restaurants, 53 of which are locally owned and operated by 13 franchisees. This year, McDonald’s celebrates 50 years of providing a variety of menu options made with quality ingredients, supporting the community and offering meaningful career and educational opportunities. 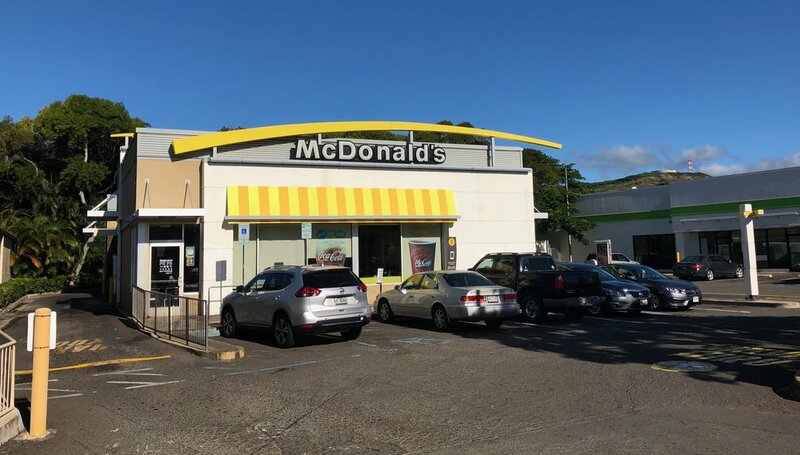 McDonald’s raises more than $400,000 annually for Ronald McDonald House Charities® of Hawaii and has been a proud sponsor of family-oriented community events such as the FIRST® in Hawaii Regional Robotics Competition. To help employees pursue their educational goals, McDonald’s awards $25,000 in scholarships each year to high school seniors and created Archways to Opportunity™ in 2015, which has provided more than $70,000 in tuition assistance. Follow McDonald’s Restaurants of Hawaii on Twitter at @McDonaldsHawaii.